"Always consider yourself a masterpiece work in progress! " Hello, everyone! My name is Esther, you can call me Teacher Edy. I finished two courses-- I took up Bachelor's Degree in Business Management and a Bachelor of Science Degree in Accountancy. 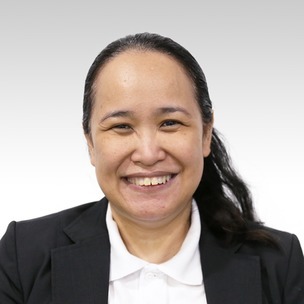 I have worked in the Information Technology, Financial Services and Business Process Outsourcing Industries in the Philippines and around the world. I have traveled all over the world for work and leisure. By doing this, I got to meet and befriend a lot of people. I have even volunteered to teach young Singaporean children in my free time. I enjoyed it very much. I am grateful that I have excellent English Language skills (Listening, Speaking, Reading and Writing) because with that I was able to communicate with people from different countries and cultures. I hope that I can share with you my English Language skills so that you will also be able to connect and communicate with people all over the world through the English Language. See you soon! Travelling, reading, writing poetry, programming and robotics.